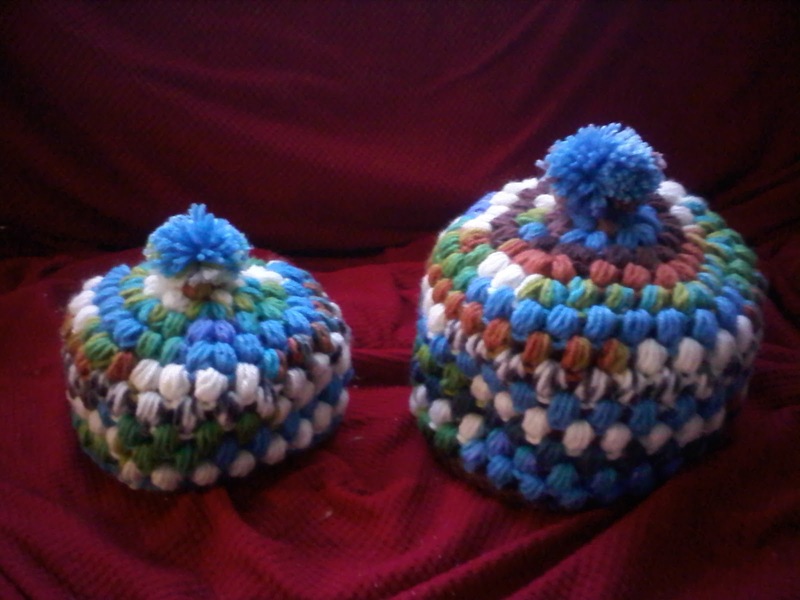 This Crafting Life: Puff Hat Set! I finished one of the adorable mother/daughter sets that I've been working on~ and they're just as cute as I could have hoped. For this set, I essentially made the Puff Hat, but added a pom-pom at the top! How adorable!!!! 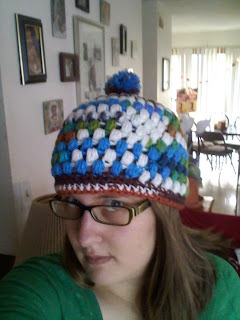 I loooove using ombre yarns for this hat~ it gives it such a unique look! This ombre, however, which is made by Red Heart, has longer sections of color than most. This wouldn't be a bad thing if I were just using sc or dc stitches, because then the color would probably cover one round of the hat, however when using the puff stitch, it tends to make for weird clumpy sections of color. Oh well, I think they're adorable anyway!!! I like the dumpy blogs of color. It emphasizes the puffs. It's perfect. Thank you! The yarn is one of my favorite Red Heart Ombres- bought at wal-mart, of all places!